The Caribbean is a destination of sun, sand and fun! There are an endless number of incredible beaches with dreamy views perfect for relaxing on a sun lounger with a cocktail in hand. The Caribbean is the perfect destination for families, couples and groups of friends with plenty of accommodation options from large 5 star resorts to authentic home stays. The warm waters are ideal for scuba diving and snorkelling and the Caribbean has some of the best marine life in the world. 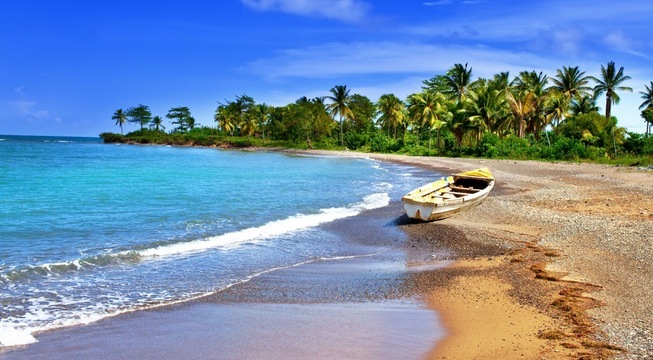 In contrast to the blue waters and white sands, more rugged scenery can be found in the Caribbean in the form of mountains in Jamaica and lush rainforest in St Lucia. Colourful towns are abundant in Bermuda and the Dominican Republic and a trip to lively Havana is like stepping back in time. All of the Caribbean islands have their climatic differences but generally the climate is warm to hot with a steady sea breeze making it an ideal destination for any time of year.